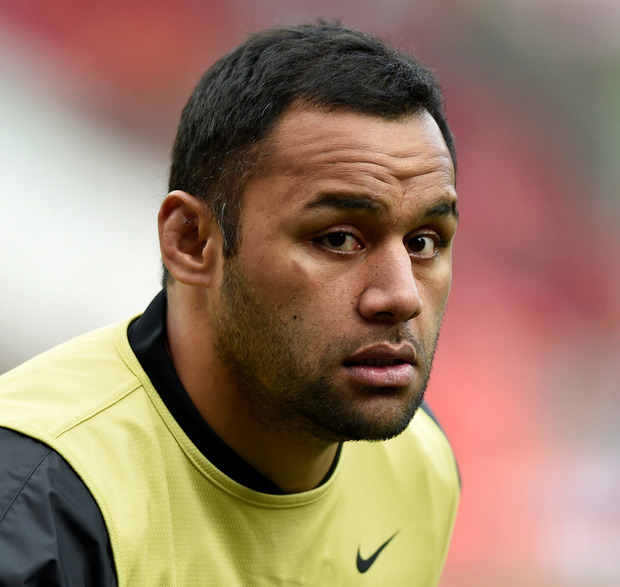 Vunipola is facing the prospect of a ban from the English Rugby Football Union for posting a message on his Instagram account backing Folau's message from the previous day in which he claimed that "hell awaits . . . drunks, homosexuals, adulterers, liars, fornicators, thieves, atheists, idolators". Vunipola wrote: "There just comes a point when you insult what I grew up believing in that you just say enough is enough. Man was made for woman to procreate that was the goal no?" The England and Saracens forward is due to meet the RFU this week to discuss his comments but has already been dropped by Channel 4 in its coverage of the Champions Cup. Saracens play Munster in the semi-finals on Saturday, but Vunipola - who had been signed up as one of the faces of the competition - will not be used in promoting the match by the broadcaster. Vunipola's remarks were greeted with more criticism from within rugby yesterday, with one of England's most high-profile gay women's players, the retired World Cup winner Kat Merchant, saying that they had the potential to cause immense damage to young people struggling to come to terms with their sexuality. "I am surprised anybody would say [something like that]," she said. "People should be smart enough to know that what they are saying will reach a wide audience. These are not just random people saying a random comment. They have lots of followers, lots of people looking up to them and their words really can hurt people - vulnerable people as well. "When you are a kid and you are unsure of yourself and your sexuality. . . if someone you think is a sporting hero [is] telling you that you will go to hell, what is that is saying to that kid? Is it saying to them to hide who they are? It is not a choice, it is not a sin - people are born that way. And that is the dangerous territory because you are damaging vulnerable people." Former Lions coach Ian McGeechan criticised Vunipola for being "naive", adding: "He would have known that by saying what he did there was going to be a reaction. And that reaction was going to be hugely divisive."